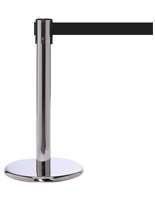 What better way to tackle crowd control without disrupting the view of a showcase than with this mini retractable stanchion. 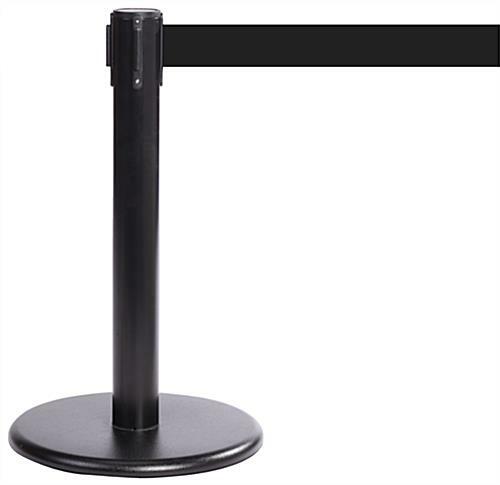 With an impressive 11’ black belt, you can span larger areas with fewer poles. 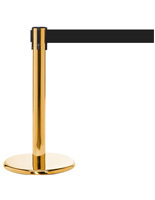 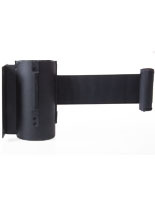 This small stanchion works perfectly in exhibits, museums, galleries, and more! 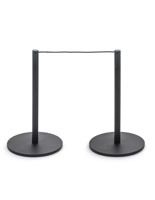 Due to their petite size these posts can be easily moved from room to room. 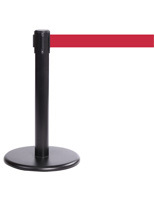 A rubber floor protector keeps show room surfaces safe from scratches while keeping the base from moving. Stainless steel construction paired with a black finish allow years of crowd control from this stanchion.